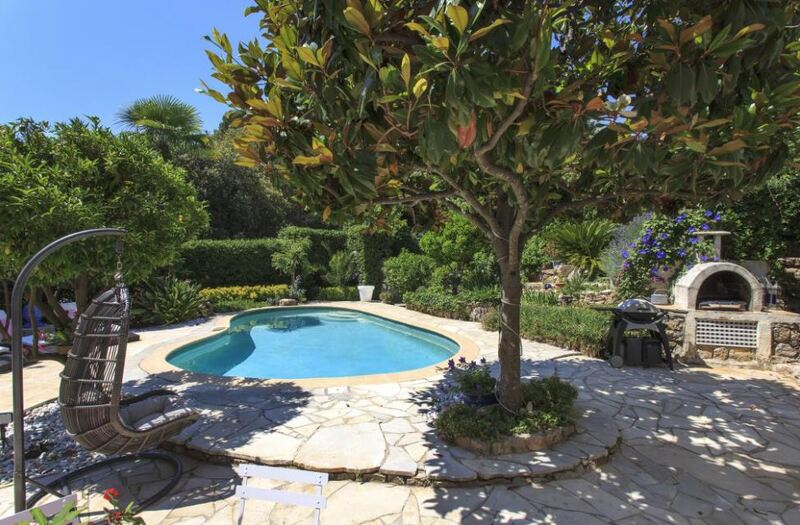 This beautiful Provencal style villa is situated in a closed domain in close proximity to Cannes. The property comprises of 4 tastefully decorated bedrooms, each with an en-suite bathroom. The double lounge and dining area are open plan and light with the dining table seating 8 people. There is a curved leather sofa and a flat screen television with satellite channels for guests to enjoy. The room opens onto the garden and a covered terrace. The American style kitchen is fully equipped with a separate laundry room. The outdoor area has a covered terrace with a barbecue and an attractive garden as well as a heated swimming pool. There is also a covered dining area and lounge wit retractable roof.